First Sunday of each month at 9739 Lakeshore Blvd NE, Seattle. Third Sunday of each month often at 5415 Greenwood Ave. N, Seattle. Second Sunday at Greenwood Senior Center 525 N 85th, Seattle. These can change so call first to be sure or subscribe to the Yahoo email list. Most song circles meet from 7:00pm to 10pm. Locations are also printed in the Flyer. Contact: us 7×24 at 425-998-6134 or by email. pending verification Nov 2016: 4262 Fremont N, 206/547-2330,Thursdays, Jim Nason hosts a song circle at 7pm. Music Circles are usually the first and third Wednesday of the month, (and the fifth Wednesday, if there is one). Most of the year they are in the Roeder Home, 7:30-10 pm. During the summer and the holiday season, they are in people’s homes. Call 360-671-4511 or 671-3480 for more information. PFS MONDAY NIGHT SONG CIRCLE – The Second Saturday Song Circle is hosted by a different household each month, from about 7:30 PM to midnight. Potluck dinners (if any) usually begin at 6:00 PM. (But each host sets the times; see below.) Come to sing or to listen. First and third Wednesday of every month, 7:30 pm at the Friends’ Meeting House, 1090 W. 70th (near Oak St) in Vancouver. Events vary from song-circles to open stages to concerts by members. 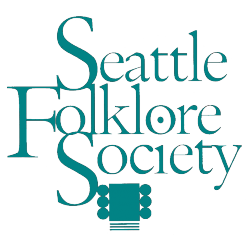 Info on upcoming events always available on our website www.folksongsociety.org. Admission free to members, all others by donation. The VFSS is also on Facebook and Youtube.